Hurrah! The Lulu 2 is back and with a difference. You loved this style, we love this style, so we just had to revisit this style for the New Season in this gorgeous all over floral print. The Made In Italy Lulu 2 Floral Linen Tunic features a round neckline, elbow length sleeves. 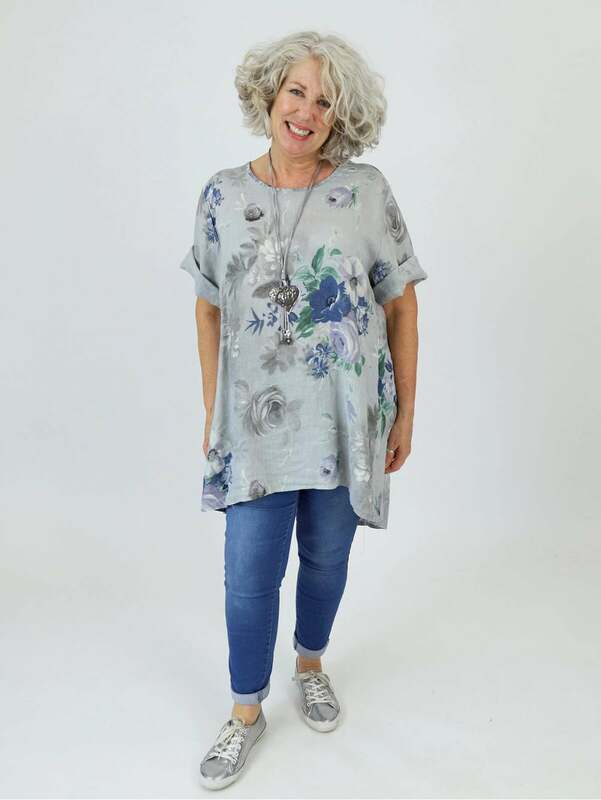 This gorgeous tunic features a dipped hemline, which is longer to the back and is then finished with button detailing to the reverse. Great with jeans or leggings!